Composites will be designed with graphics from the current sports season. 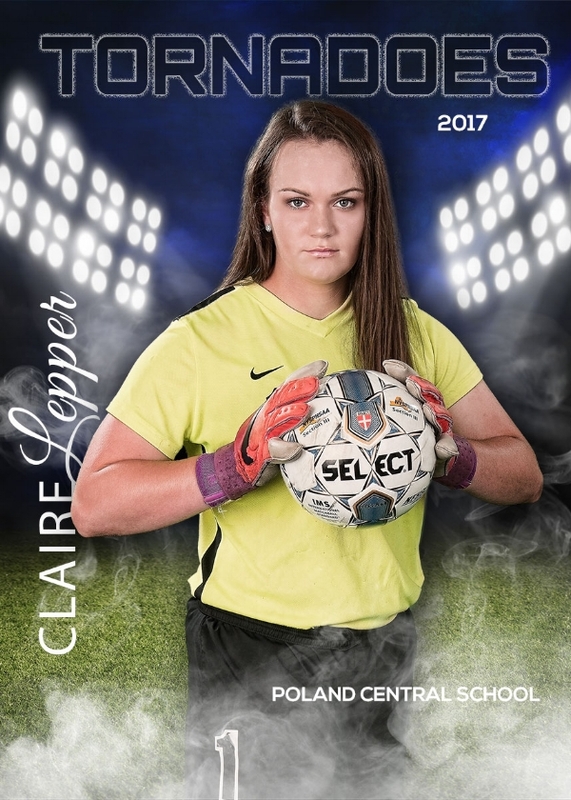 When ordering an individual of your sport you will receive the individual picture with graphics (ball and other elements), your name, year of sport and number or position if you are a goalkeeper. Below is an 8x10. On smaller prints name and number may be omitted unless you are ordering trading cards. An 8x10 composite will include the individual picture and the team picture. A composite will be designed for each sport and will include your full name.